Country music star Blake Shelton's “God’s Country” music video brings us to his home state of Oklahoma! Watch it here. 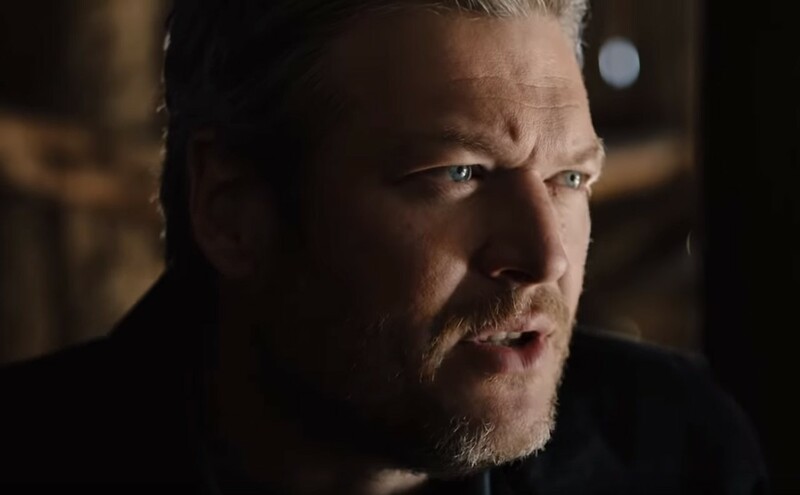 Country music superstar Blake Shelton‘s “God’s Country” music video has been released just days after debuting his new single during the 2019 ACM Awards. Directed by Sophie Muller, the compelling video was shot in Shelton’s home state of Oklahoma and features the wide spanning land of the Midwest. Click the “Play” button below to Preview “God’s Country”. Check out Blake Shelton’s “God’s Country” music video and the lyrics to this tune below! Written by Devin Dawson, Michael Hardy, and Jordan Schmidt, the single is already skyrocketing up the charts as it is currently No. 25 on the Billboard Country chart and No. 27 on the Mediabase Country Airplay chart. After just one week, “God’s Country” has over 3.5 million on-demand streams and has sold over 54,000 track equivalents, currently on pace to sell 30,000 more in its second week. Share Blake Shelton’s “God’s Country” with other country music fans!